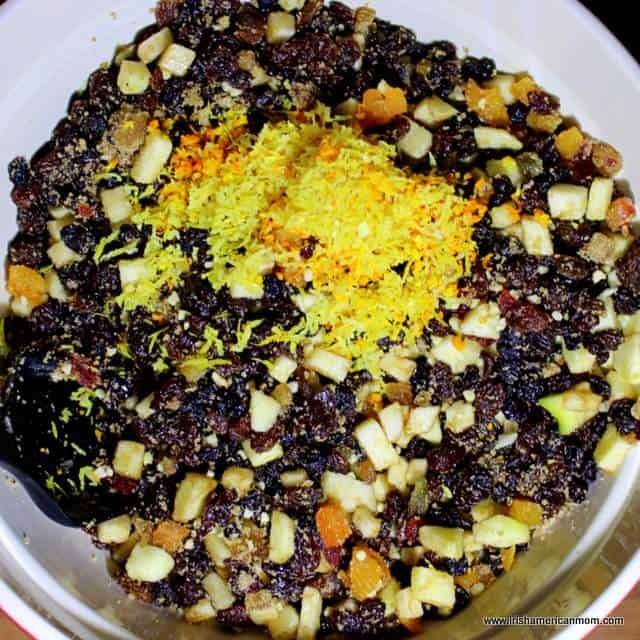 Mincemeat is a festive filling for baked goods, and don’t worry there’s not an ounce of meat in this concoction of mixed fruits, almonds, spices, and of course, a little booze. Many people take the easy peasy route at Christmas and opt for store bought mincemeat to fill their pies. But trust me, making festive mincemeat is far easier than it may seem. And my recipe is extra easy since I use my crock pot or slow cooker to heat the mixture to meld the flavors together. 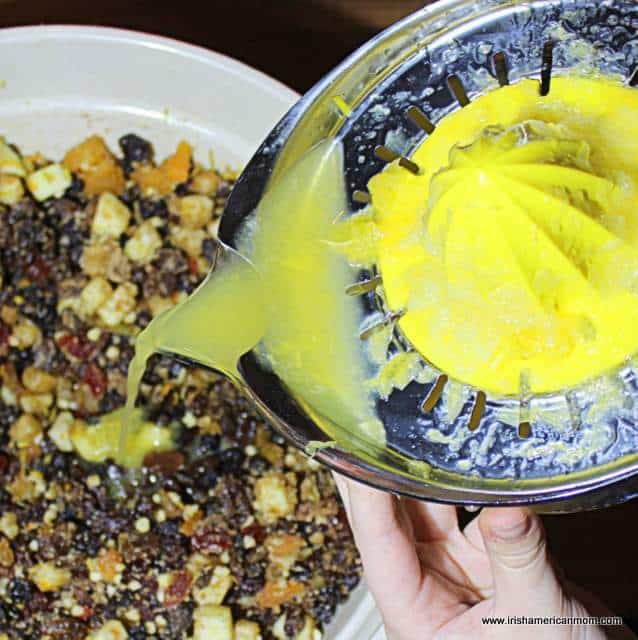 If you can, make your mincemeat well in advance of Christmas Day so that the wonderful flavors have a chance to fully develop and soak into one another. 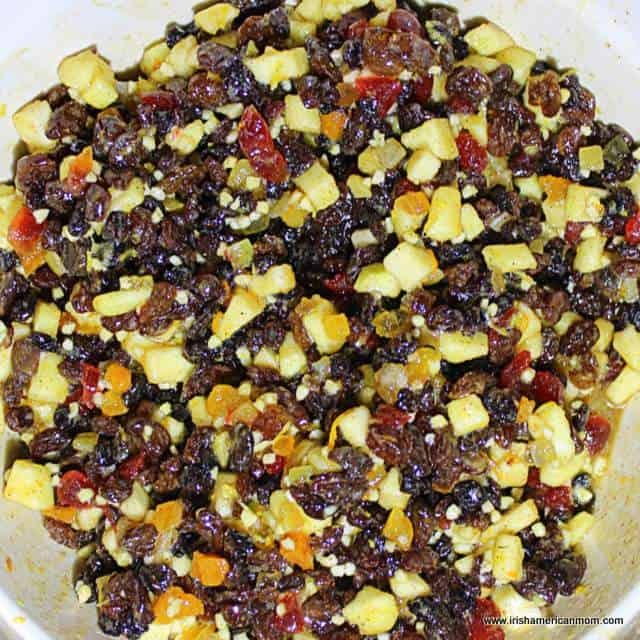 But why do we call this sweet pie filling mincemeat when in fact their is no meat used at all? 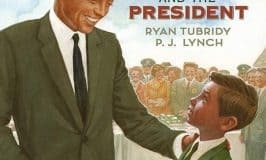 The answer lies in history. Way back in the 15th century a savory pie filling was made using minced meat combined with dried fruits, vinegars and wine. Over the centuries the recipe evolved from a main course to eventually featuring on the dessert menu, with all traces of meat eliminated. 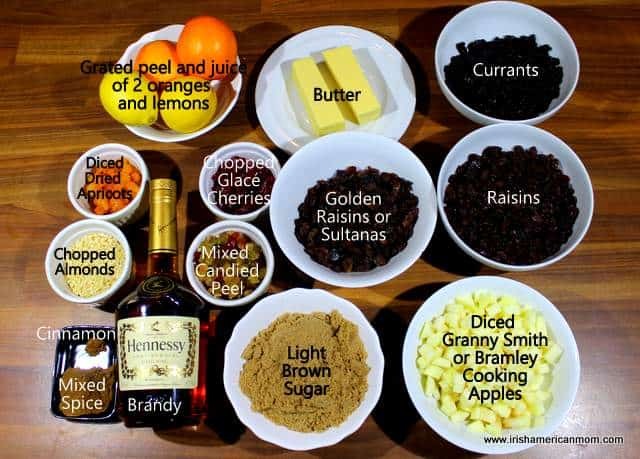 By Victorian times brandy had replaced the wines and this old traditional recipe was reborn as a festive yuletide treat. Many recipes call for the use of suet as the fat that binds the mincemeat together. I prefer to make a suet-free mincemeat and simply use melted butter instead. 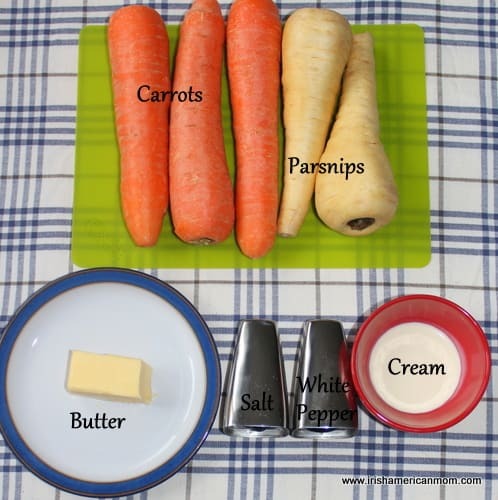 For strict vegetarians the butter or suet can be substituted with vegetarian suet. Now, of course being Irish, I opt for Kerrygold butter, since I prefer the flavor, and the fat content is higher than in American butter, since Irish butter is made from the milk of grass fed cows. 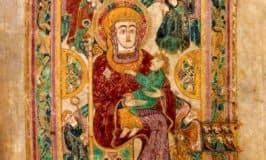 Anyway, without further ado, here’s my recipe for festive mincemeat Irish or English style. I like to dice the apples into small little cubes. If you like a mushier mincemeat then grate the apples instead. Add the fruit, almonds and spices to a large mixing bowl. 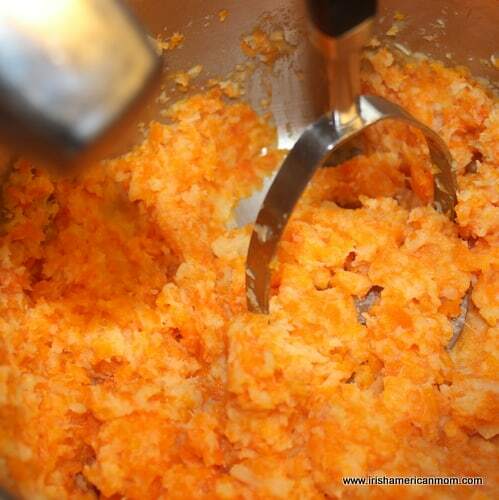 Then add the grated peel of the oranges and lemons. Then add the the lemon and oranges juices. It’s important to coat the fruit in the sugar and citrus juices. 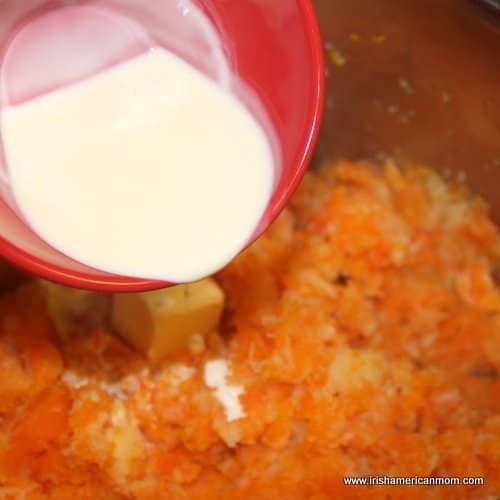 Next add the melted butter and stir the fruit to completely coat it in butter. The only ingredient not in the bowl is the brandy. That doesn’t get added until the next day. And now you have to play a little waiting game. 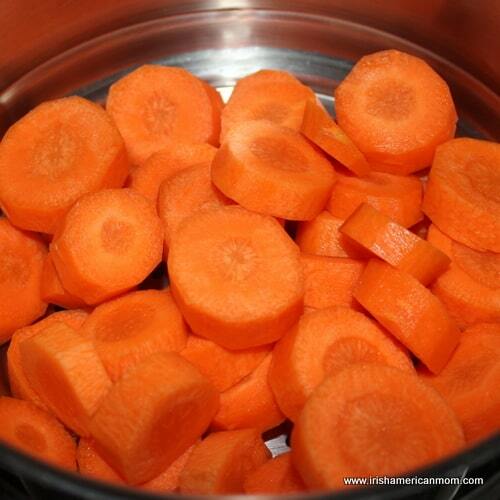 Cover the bowl with a cloth and place it in a cool place for at least 12 hours or overnight. 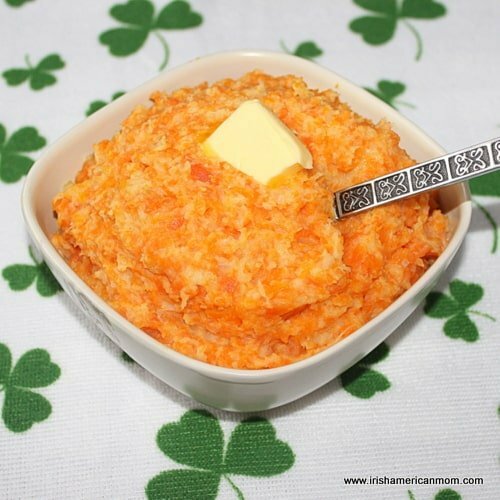 This gives the ingredients a chance to do a little mingling in the bowl – it’s time for melding together and sharing their deliciousness. Next transfer the mixture to the crockpot. Cook it on the low setting for 3 to 4 hours. 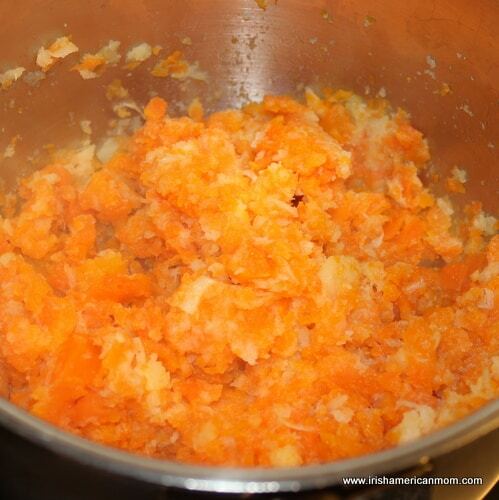 It’s important not to overheat the mixture since this could cause the fruit to start to ferment. Alternatively you can place the mixture in an ovenproof dish and bake it at a low heat of 225 degrees Fahrenheit for 3 hours. 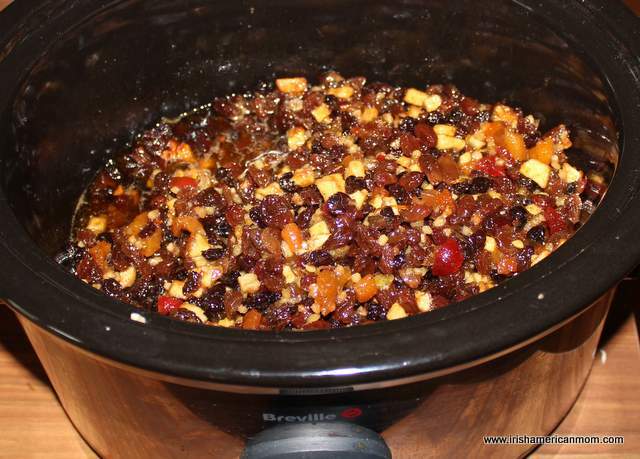 When the mincemeat has finished cooking let it cool completely before adding the brandy. Mix the spirits through the mixture completely to allow every piece of fruit a chance to soak it up. You can use rum or whiskey, but my favorite has always been brandy. Now your mincemeat is ready for storing. 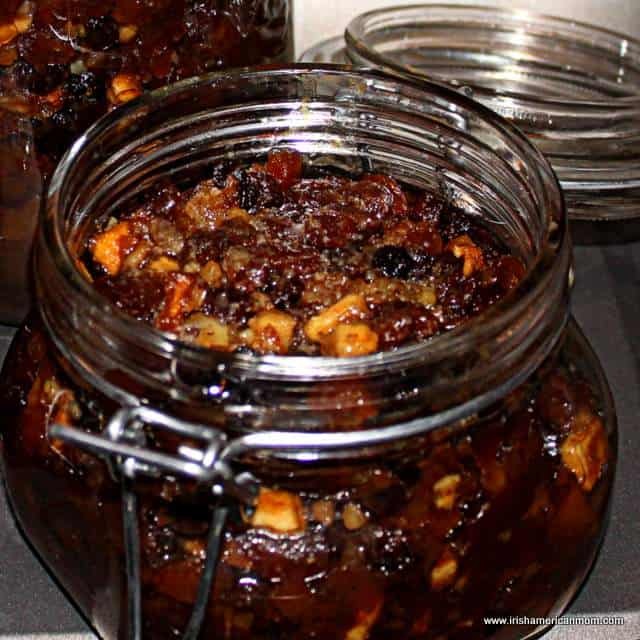 Transfer the mincemeat into sterilized preserving jars. Here’s my tutorial on three different methods for sterilizing jars for preserves, jams or mincemeat. You can use old jam or jelly jars and cover them with wax paper discs. 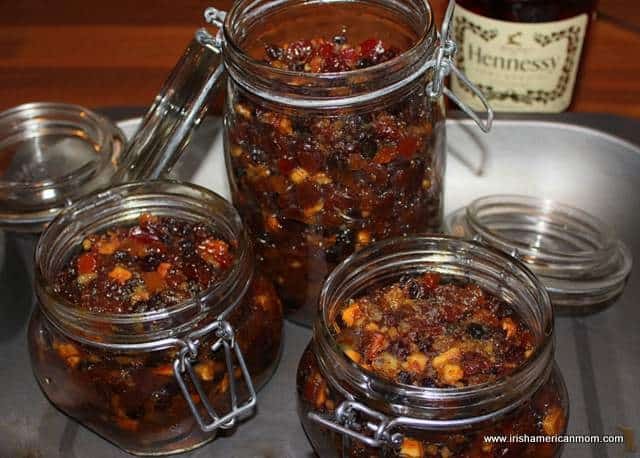 Do not skip on sterilizing the jars, otherwise you run the risk of spoiling your mincemeat. Store your mincemeat in a cool, dark pantry or cupboard. It will keep for up to a year. I like my mincemeat to be made at least two weeks before I use it to ensure the flavors have matured. The longer it stands the greater the depth of flavor. 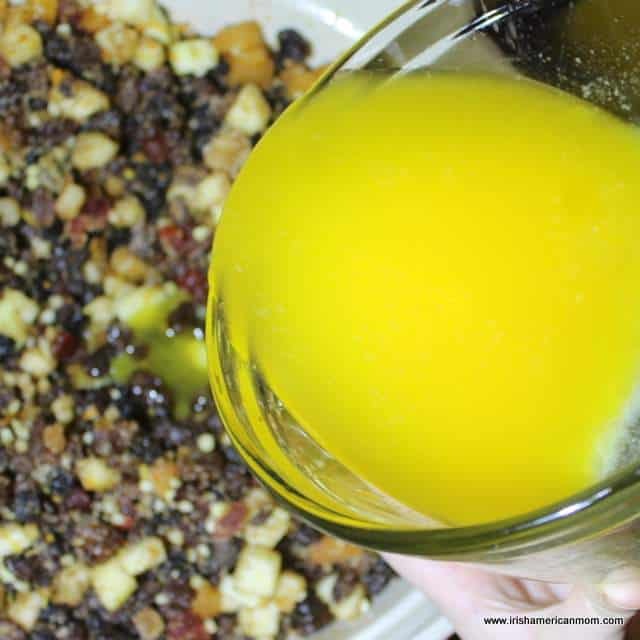 A fruity festive pie filling originating in England in medieval times. 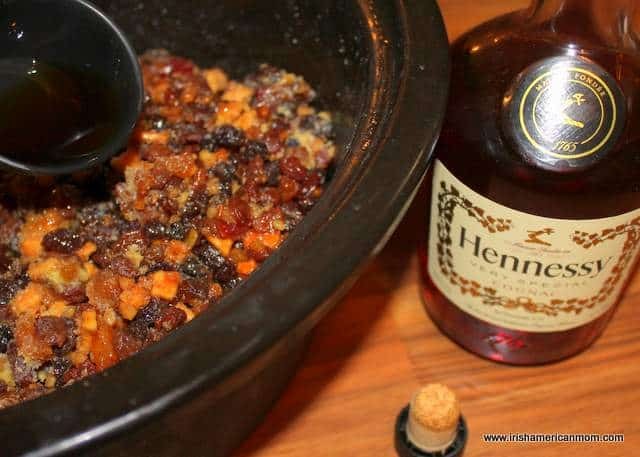 Toss all of the ingredients, except the brandy, into a large bowl and mix them thoroughly together. 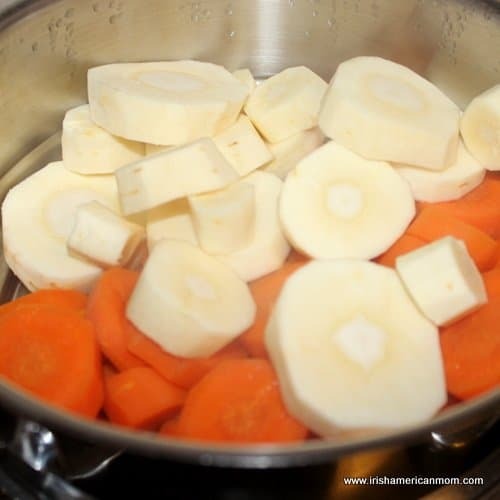 Cover the bowl with a cloth and place it in a cool place for at least 12 hours or overnight. Transfer the mixture to the crock pot. Cook it on the low setting for 3 to 4 hours. Cool completely before adding the brandy. 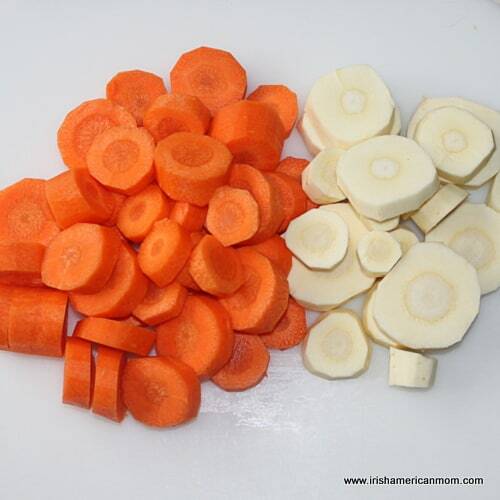 Transfer it into sterilized preserving jars, then seal and store in a cool, dark place for up to one year. Use as a pie filling. Happy Christmas baking and preparations to everyone. 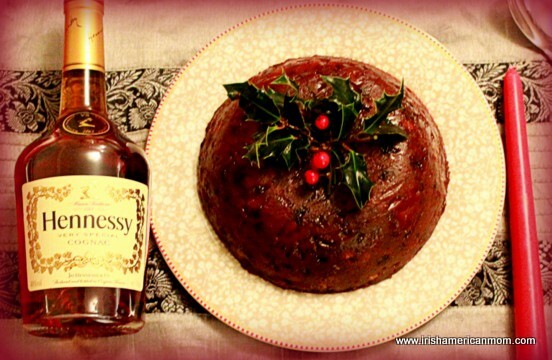 Lighting a plum pudding is accomplished using brandy, whiskey or rum. I like brandy best. For me, the residual cognac flavor on top of the pudding is decadent. 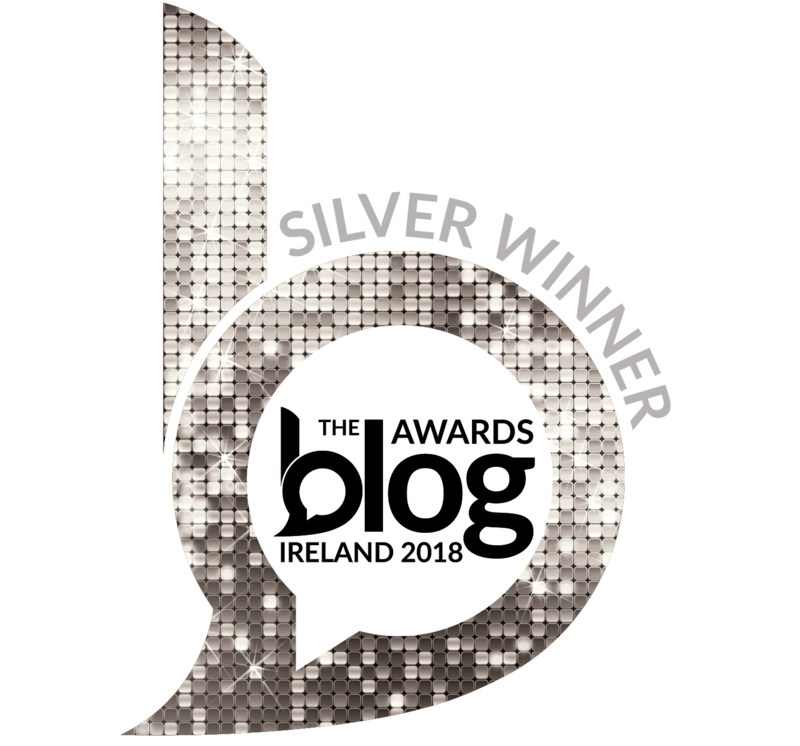 I know I should be using Irish whiskey – I am Irish after all. However, an old family legend claims I might be a 31st cousin of the Hennessy who left Ireland and started the famous cognac brand. 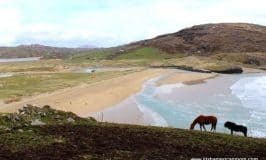 The connection is through my County Limerick born granny. And that’s my brandy loving excuse – there’s a slight possibility my affinity for cognac may be hereditary, but that’s a story for another day. 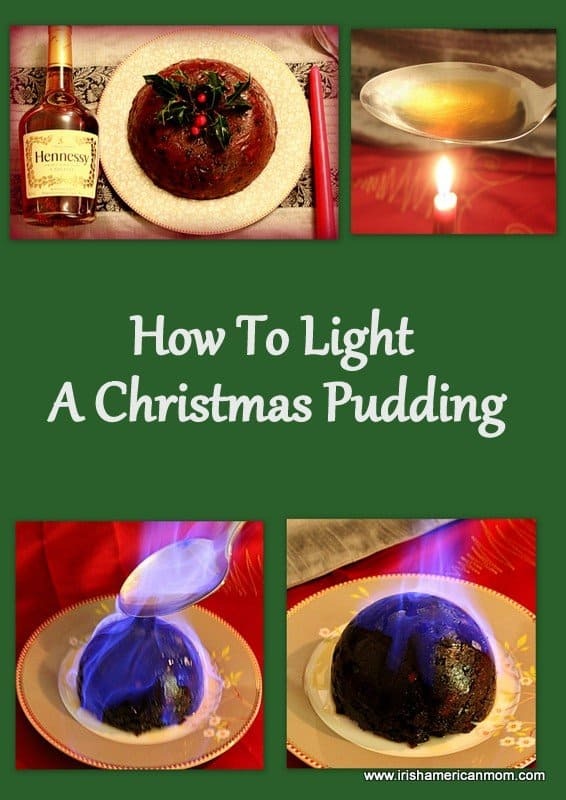 So let’s get back to lighting this pudding with my favorite spirit, brandy. Choose a large metal spoon. Not your best spoon please. The candle may cause the bottom of the spoon to turn black. This carbonation is easily scrubbed away afterwards. Add enough brandy to fill the spoon three-quarter ways full. Leave a small gap between the top of the brandy and the rim of the spoon. Warning! Do not use a plastic spoon. It will melt. 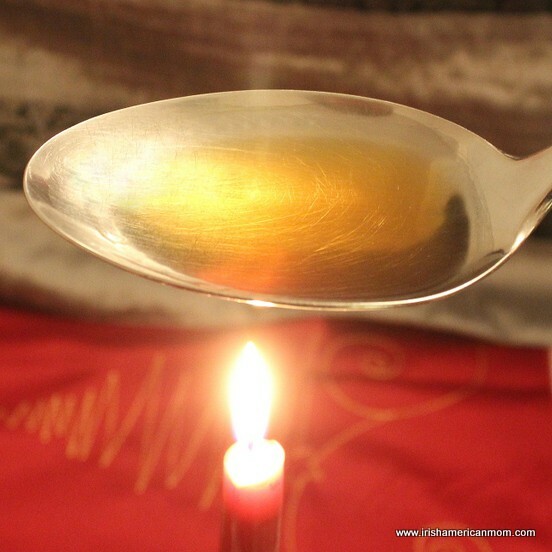 Hold the spoon over a lighted candle flame. Hold it for a few minutes until the brandy heats up. 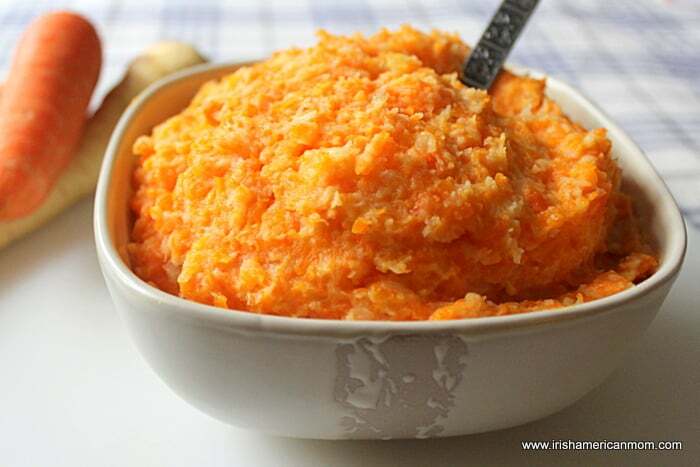 If you wish to speed up this process you can pre-heat the spoon in a cup of hot water, but make sure to dry it completely before adding the brandy. Once the brandy is hot it will start to steam and convection currents will be visible in the golden liquid. To set it alight, you simply tip the top of the spoon into the candle flame and the booze will alight, burning with a bluish flame. 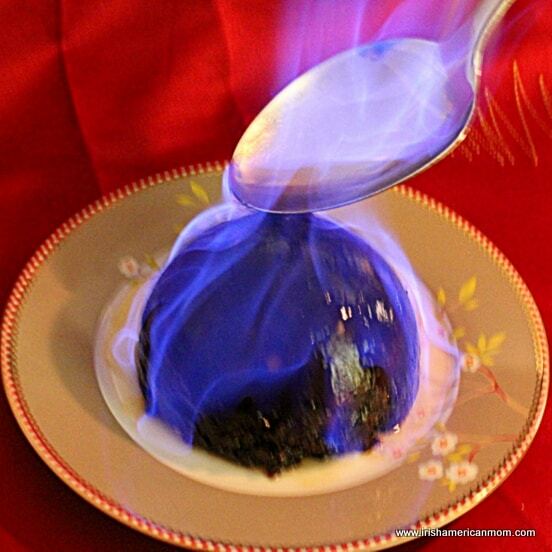 Move the flaming spoon over the pudding and pour it on top. Now the pudding must be piping hot. This will not work with a cold pudding. Ensure you have removed any decorative toppings from the pudding, before setting it on fire. Melted plastic or singed holly does not add anything to a plum pudding’s flavor. Move the spoon away from the flames. You can have a cup of water ready to quench the flaming spoon if you wish, but I just blow on it to stop it burning. Turn out the lights and admire the bright blue flames of your Christmas light show. 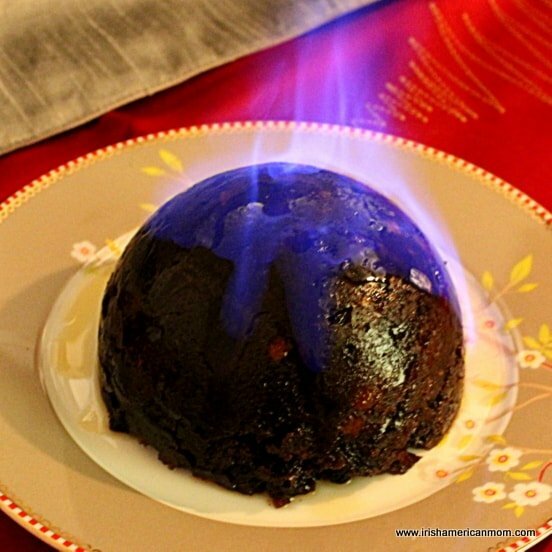 The alcohol will burn off the top of the pudding, so once it stops flaming you’re ready to serve your traditional Christmas treat. 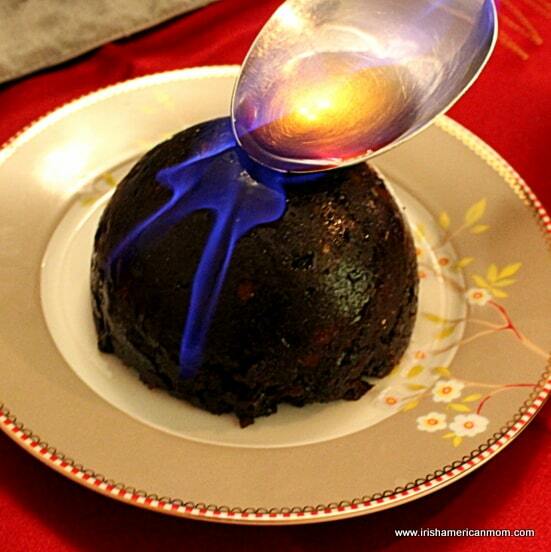 Wishing you all happy pudding lighting experiments this Christmas.